Opening on approx. Feb 3, 2011, Suburban Brothers Great Sandwich Truck serves inexpensive sandwiches on toasted bread. 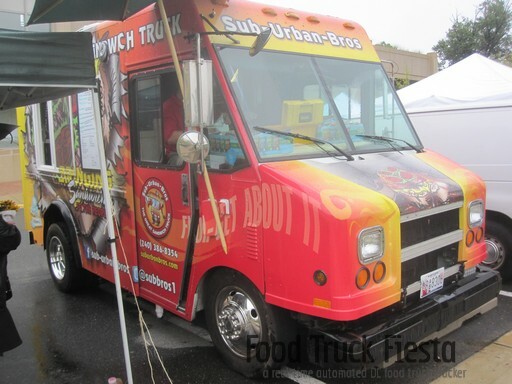 Suburban Bros is regarded as the leader of the food truck pack in Montgomery County, Maryland where it is licensed. Initial serving areas include Rockville, Bethesda and Silver Spring. Suburban Bros retired on June 13, 2012.